Questcare’s partnership with parent company Envision Healthcare provides our company with access to extensive national resources and the stability to support improved patient care through healthcare integration. Questcare Telehealth uses technology to enhance patient care in multiple medical settings, including emergency rooms and intensive care units. Questcare Telehealth employs outstanding providers to meet the needs of our patients and hospital partners. As part of a multidisciplinary practice, Questcare can leverage advances in technology to tailor telemedicine programs for virtually any specialty. 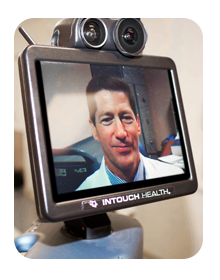 Questcare Telehealth is a division of Questcare Medical Services, PLLC, an Envision Healthcare company.